Every vintage girl needs some sources of inspiration and information to help guide her through her journey. 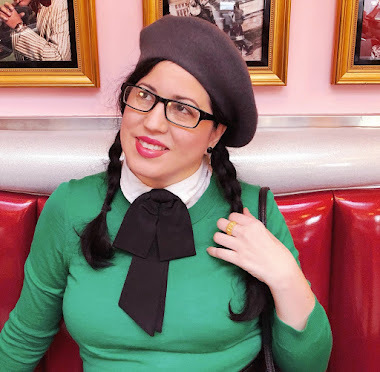 I hope my blog to be that for some but for many of us we look to books and the like to help lead us through our creative process when it comes to expressing our love for vintage. Swingin' Chicks of the 60's can be that source for one who loves classic film, fashion, or simply just adores the 1960's. The 1960's is fascinating to me for so many reasons. One of them being that fashion went from demure and prim to funky and psychedelic all in ten years. I don't think I have seen so many changes in fashion then in the 60's. It makes perfect sense when you think about all the social changes that were happening in the world in particular here in the States. Change was in the air for those who lived in the 1960's. In the midst of all this change came a massive influx of beauties who graced the big and small screens. There were also fashion icons as well as women who simply became symbols of this decade of love. The book is filled with every woman from that decade who made an impact that one can think of. So many actresses today got their start in the 1960's like Goldie Hawn and Faye Dunaway. I love how colorful this book is as well as how informative it is. The information shared is fun and factual and not filled with gossip or drama. It really makes for a great guide for someone who wants to learn more about the 1960's. I found the book easy to read and loved the little tidbits of information at the bottom of each chicks page. I also really enjoyed Angie Dickinson's interview as the introduction to the book. Lots of fun. Are there things about the 1960's that you like? What are they? 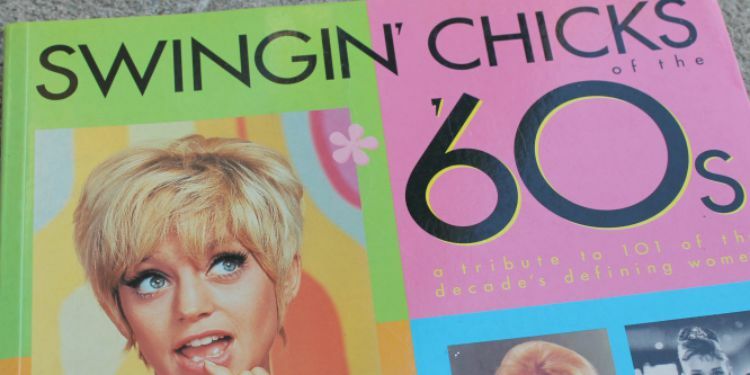 What are your favorite 60's chicks? Fabulous review!!! I am going to add this delightful book to my Amazon wishlist right now (specially, my vintage related book one). Thanks for sharing Daffny. This looks like a fun read and a good source of 1960s fashion / hair inspiration. Let me see about those questions..
Are there things about the 1960's that you like? There are things about every decade that I like. As I'm growing older, I'm realizing that there are more and more things of '60 that I'm pulled by. Would I sound to materialistic to say: clothes?! As much as I love sleek style of 1930s and puff sleeves of 1940s, it is the simple, clean-cut, basic shape dresses of the +60 that I'm mostly related to (at least it is this year). :) As I wrote some time ago on this blog, it's also easiest to come by.. and it fits me reasonably well. What are your favorite 60's chicks? This is a short story: back when I was in kindergarten, one of our TV station played "Addams family" from 1964. I had NO idea it was that old, to me it was a "new show" (the fact that it was black and white didn't matter much, it made it "artistic". And, ever since then, I simply loved the delicate, tender yet somewhat morbid, look of Mrs. Addams - Carolyn Jones.